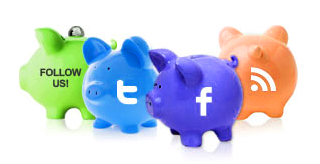 A look at how social media can benefit Indian banks, how some of the banks like ICICI, HDFC, Kotak Mahindra, etc. are leveraging it successfully and the road ahead. The use of technology and internet has made banking a breeze. Despite people being worried about security and adapting to newer ways of banking, technology has only made it faster, cheaper and more convenient than visiting the bank. And a similar thing happened with Facebook adoption, now India has 59 million users on Facebook with the 18-24 age group forming the major chunk, as per the latest data from Social Bakers. These numbers need to bank, and banks certainly can’t miss out on this! Some time earlier, while I had reviewed a fun Facebook campaign by a prominent Indian bank, somebody had commented ‘why banks?’ That statement rang two bells in my mind: One there is a misconception that banks need not engage on Facebook, and the other that there are businesses (mostly B2B) which should stay away from Facebook. Both arise because we perceive Facebook may dilute our image or become a platform of brickbats. On the contrary, Facebook is beneficial in reaching out to the young generation looking for banking solutions. In the midst of this campaign reviewing role I do for Lighthouse, I was quite fascinated with what I observed on the Facebook brand pages of prominent banks. Fan behaviour has always been on the positive side in terms of engagement. When a bank listens, fans talk and perhaps vent out their bad experiences at times! ICICI had created a rage when it had launched a Facebook app to enable banking through its Facebook page. A very lazy friend of mine was all upbeat about this new move when his banking merged within his Facebooking time. In a study we did this April comparing the top banks active on social media, ICICI bank turned out to be the most engaged bank on Facebook. Besides, being on Facebook helps you come across as friendly, approachable and trustworthy, apart from building brand advocates with continuous and sustained engagement. During the recent London Olympics 2012, we saw a number of banks shedding their traditional approach to create fun contests on Facebook. While IDBI focussed on an Olympic trivia contest, ICICI replicated some of the common Olympic games. When Standard Chartered had a problem in hand – Indians weren’t accustomed to its beliefs or personality. 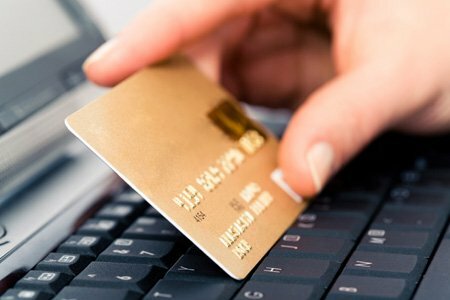 It needed to create a strong presence on social media and also popularise its credit cards. A study of the Indian market revealed that food was the second choice after shopping in terms of spends through credit cards. Hence, instead of creating a regular Facebook brand page, the bank created the India Food Explorer Facebook page, a dedicated page for food lovers. Here’s a complete case study of how it went about doing it and creating an awesome presence on Facebook in the process. Kotak Mahindra, another social savvy brand has continuously made an effort to create a bond with its fans on Facebook with regular contests and interesting content aligned to its objective – banking with it is smarter. The recent 360 degree campaign “Save With Subbu” was well-integrated with Facebook too. And then there is Twitter that serves as a wonderful tool to connect and converse all in 140 characters. Many banks have already employed Twitter as a customer service tool. ICICI bank has set up a listening post on Twitter via @ICICIBank_Care that addresses negative sentiments about the bank on Twitter as well as the customer complaints. Similarly, HDFC addresses customer concerns through @HDFC_Bank. Going further, this could be a round-the-clock service too! All this sounds challenging and is bound to receive brickbats with banking being a service based industry after all but being there where your consumers are and resolving concerns before they turn into bigger issues is much better than not being there at all. You can’t make everyone happy but you can definitely touch a good number on social media. The road ahead for banks could be in many directions but all to provide a structured and two-way banking conversation. I believe that making social media as one of the arms for 24*7 customer support, educating the fans about security issues and safe banking practices, driving and recruiting work force, the integrated use of prominent networks and customised solutions derived from social media data will go a long way in creating social banks of the future.